Native American culture and tradition is obviously an important influence to our company and the type of products we make and release. Our Native American ties are strong. Throughout the year, our team visits various reservations across the country, meeting with tribe elders and educators as we work on content. We have cultural consultants who work closely with us on every step, guiding, developing and vetting our cultural content. In striving to make the most authentic and useful educational material, we have incorporated history and traditions of tribes such as the Objiwe/Chippewa and the Dakota/Sioux. In both Spirit Lake and Fish Lake, you can find cultural videos (popping up as Easter eggs between challenges) that are used to teach fun facts about these tribes going back hundreds of years, with some customs still being practiced today. Since we’ve already provided you our 2015 Top Lists covering math resources and popular blogs, it’s only fair that we share with you our Top 5 Native American Cultural videos. The videos are packed with interesting facts about the beliefs, lifestyle and hunting techniques of the various tribes. You can use them anytime you need and they’re a nice break from planned lessons, wouldn’t you say? Native American Tradition of Counting Coup – A video explaining the counting of coup and the tradition of putting notches in the coup stick. How The Ojibwe Caught Fish – Discover the various ways the Ojibwe tribe fished for their meals in this short video. 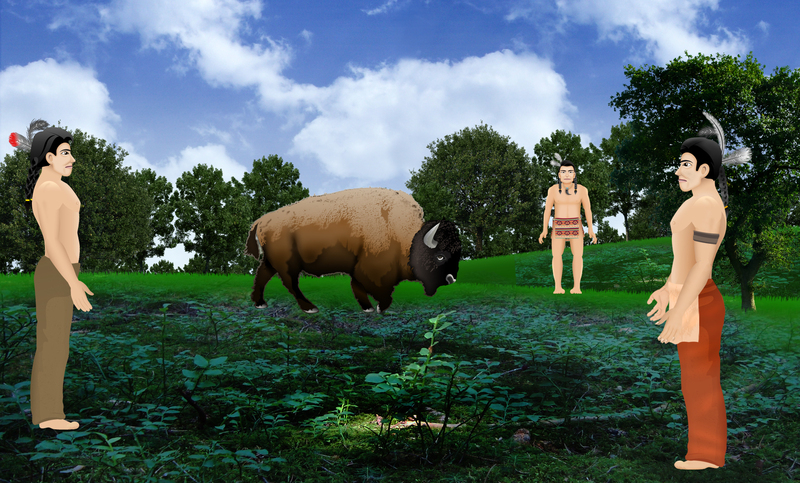 Native American Hunting of Deer and Buffalo – A video explaining the seasons of hunting. Earning an Eagle Feather – A video showing the various deeds of what was required to earn and be able to wear an eagle feather. Afterlife – Learn about one of the four cycles of life that the Sioux believed in, by watching this short video. WE NEED YOU! YES, YOU! HELP US SPREAD THE WORD! Through tweets, e-mails and/or face-to-face meetings, people are always telling us how much they love our games, sharing the positive impact titles like Spirit Lake and Fish Lake have made on how they see and use math. Not only do people share their passion for the content we produce, the conservations almost always end with “How can I help?” or “What can I do to spread the word?” We love that energy from our 7 Generation Games community, and we’re here to let you know exactly how you can help us. TELL ALL OF YOUR FRIENDS AND FAMILY. It’s just that simple. Forward our newsletters to parents, educators and students you know. Tweet out your experiences playing and learning from our games. If you’re a parent, contact your child’s school telling them about us and the benefits from learning math and history through playing our games. Word of mouth is one of the strongest tools we have in putting 7 Generation Games on people’s radar. In offering top notch educational games, we want educators and parents to know that they have an option when it comes to keeping their kids learning and engaged. We always say that we succeed only if students are enjoying and learning from playing our titles. That’s the power behind our brand and the core of what we do. With the beta version of Forgotten Trail out and the highly anticipated Aztech set to be released this year, the 7 Generation Games reach will continue to grow, impacting the lives of students. Not only do our games have a proven track record of improving kids test scores, we also have the data showing the progress to school administrators and parents. So please never forget that you are our biggest ambassadors! The passion, belief and excitement, that you have in our type of educational entertainment, is what will get others to notice and pay attention. This is shaping up to be a big year for us and –with your help– there’s no telling how many lives we can touch and improve.